Creative. Individual. Fearless. 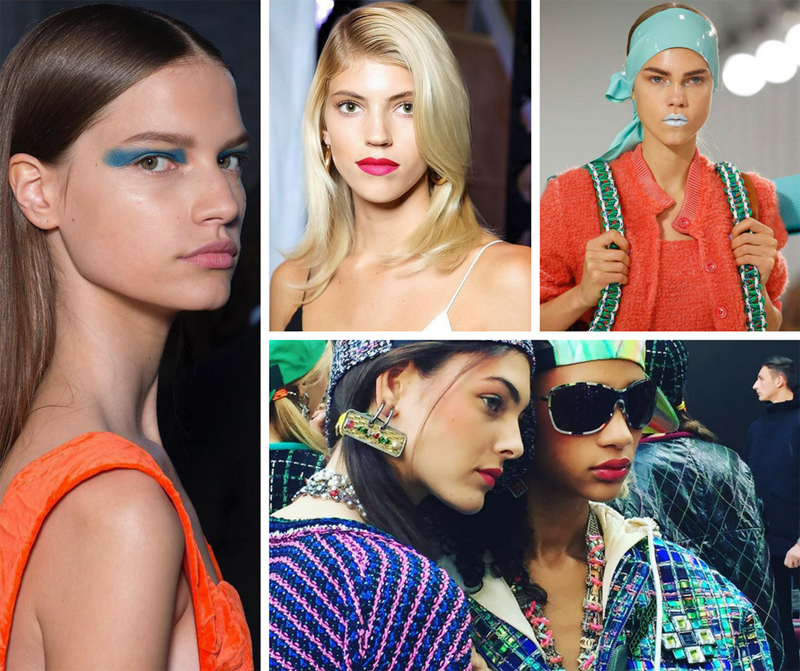 Spring’s latest trend encourages you to embrace the bold colors and looks you see ! Want to get inspired to get sweeping lips, original eyes and intense cheekbones? format, outlined in the arch of the eyebrow and contrasting strong tones – forget all the rules and recreate the eye makeup you always wanted. Nothing is off limits, this season! Check out the irreverent looks of Louis Vuitton, Manish Arora and Victoria Beckham. makeup may even be more daring, but that does not mean that we will neglect our lips. Quite the contrary! Vibrant colors and ombre effect are in vogue this season. Get inspired by Jason Wu, Maison Margiela and Cushnie et Ochs. The cheekbones are in the spotlight this season! The “draping” blush technique, so popular in the 1980s, uses color to enhance facial features (such as contouring or strobing). We have seen this trend in the parades of Kenzo, Chanel and Adam Selman.